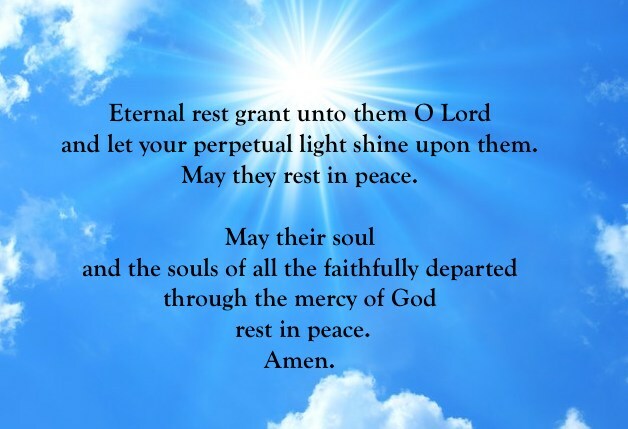 The faithful of Holy Trinity Parish would like to extend our sincere sympathy and prayers of comfort and strength to you and your family, if you are visiting this page of our website, because you have recently experienced the death of a loved one. We are aware that we are unable to spare you from this challenge but we hope to be able to assist you in whatever way possible as you attempt to find God’s loving presence – even in the midst of suffering. During a Catholic Funeral Liturgy we hear the priest pray the words “Lord, for your faithful people, life has changed not ended.” In the burial of a Christian, we acknowledge the dignity and importance of every person and Christ’s victory over death and suffering. 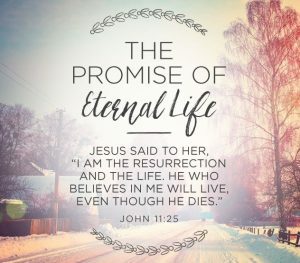 Christians celebrate the funeral rites to offer worship, praise and thanksgiving to God for the gift of life which always belongs to God, who is our Hope. There are three principal ritual parts during the Rite of Christian Burial. Please see the Related Links to the right that may help answer some questions you might have regarding the Rite of Christian Burial, Cremation and Grief. If your family and friends wish to partake an active role during the funeral liturgy (altar serving, reading of the Scriptures, bringing the offertory gifts, distributing the Holy Eucharist, music selection and/or being a cantor) please call our Parish Office at 330 385-7131 and we will assist you in your planning.